We get your office network up and running and we keep it up. We run cable and/or configure wireless communication, we configure network hardware and software in your computers, we install the operating system on the server, we get the computers speaking to each other, we load software on the computers, and we make menus so your staff can easily run the software. We will also train your staff in all aspects of the software and the system. We use either Windows or Linux , and we can do the whole job or any part. Once your network (LAN) is built we can safely connect you to the internet or branch office. We can assist in all aspects of network administration. At last count we have done well over two hundred networks. We are pleased to construct networks ranging from small peer to peer systems (lacking expensive server operating systems) to large multi server WANs. We work with Cisco routers and switches for business campus LANS or small hubs and cable modems for small home office businesses. 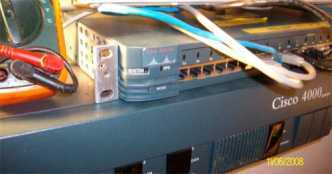 We support the Cisco Pix Firewall , and other methods of network security. While based in Suffolk County on Long Island, New York, we have made and supported networks in New York City , Connecticut, New Jersey, and Florida - and would be happy doing the work anywhere we travel - from Europe to Asia to South America. From wireless routers to old coax bus networks, we know the technology and can help.